Prosecutors in Minnesota are weighing potential charges against Richard Liu, the billionaire founder and CEO of JD.com, accused of sexual misconduct. 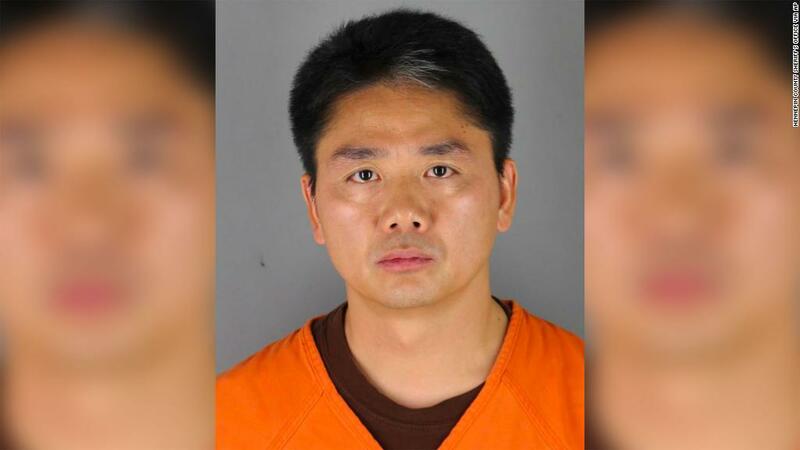 Liu, who is known in China by the name Liu Qiangdong, was arrested on August 31 in Hennepin County, Minnesota, and released without bail the following afternoon. Details of the allegations against him were not disclosed. A statement from his company following his arrest said that he had been falsely accused while on a business trip in the United States. The company said police did not find evidence of wrongdoing, and that Liu is back in China and has "resumed his normal work." Now that the police department has completed its initial investigation, prosecutors will review all of the evidence and make a decision on whether to bring charges, said Hennepin County Attorney Mike Freeman. There is no deadline for making that decision, and the office said it would have no further comment until that decision is made. Liu was a registered student at the University of Minnesota's Carlson School of Management China Doctor of Business Administration program at the time of the incident, the university has confirmed. The program is for "top-level executives" working full-time in China. Press reports in Minnesota said the incident involved a Chinese student also in the program. Liu founded JD.com (JD), the second largest online shopping site in China behind Alibaba (BABA), about 20 years ago. It has a market value of about $45 billion, and he owns about 17% of its shares, according to company filings. Forbes puts his net worth at $9.4 billion, ranking him as the 18th richest person in China.